Holding still feels that the fast bowler is better equipped to operating with the older ball than opening the attack for India. 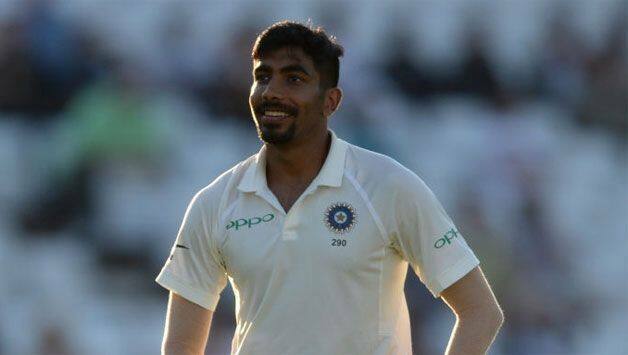 Jasprit Bumrah might have proved his worth with the new ball in his comeback Test against England at Trent Bridge with a five-wicket haul, but former West Indies fast bowler Michael Holding still feels that the fast bowler is better equipped to operating with the older ball than opening the attack for India. Holding, who is in England as a commentator for the five Test series between the two sides, had earlier said on air that Bumrah “is not a new ball” bowler and that he would “not pick Bumrah” for the England series. But as it turned out, Bumrah’s return proved to be a shot in the arm for India. His 5/85 was crucial in India beating England by 203 runs and staying alive in the series. Bumrah had gotten rid of England captain Joe Root for the first of five wickets but had to wait for over a session for his second – the ominous-looking Jos Buttler. 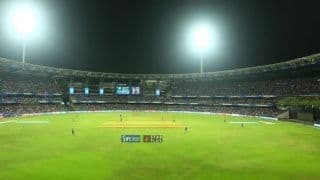 Once the 169-run stand between Buttler and Ben Stokes was snapped, Bumrah used the second new ball extremely effectively to remove the next two batsmen – Jonny Bairstow and Chris Woakes – in a span of two overs, and later followed up with the wicket of Stuart Broad. 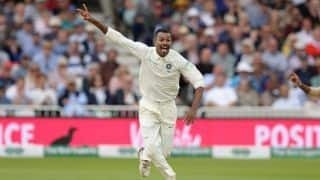 Holding however, speaking to Times of India, said that he is still not a fan of the move, asserting that India should stick to Ishant Sharma and Mohammed Shami as their new-ball bowlers. “I would still not have him (Bumrah) as my opening bowler. Ishant Sharma and Mohammed Shami do a bit more with the brand new ball and they will remain my opening bowlers in Bhuvneshwar Kumar‘s absence,” says Holding. 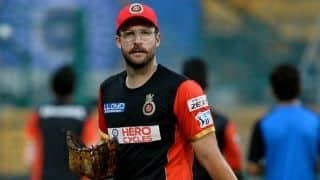 “What I have seen is he can get the ball to straighten from wide of the crease and is more effective with the slightly older ball. Bumrah could have seen Buttler’s back on 1, had debutant Rishabh Pant held on to a catch diving to his right. But the 22-year-old didn’t mind, as he eventually had him out leg before wicket offering while no shot. With two five wicket hauls in two Tests, Bumrah is proving himself to be every bit of the matchwinner in Tests as in the limited-overs format. The promise he’s shown can be gauged by the fact that he has been made to bowl long spells by his captain Virat Kohli.